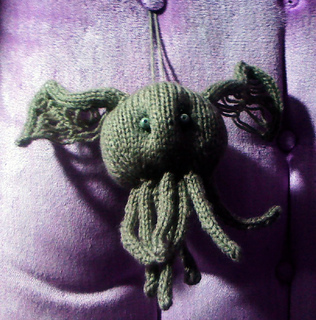 Because everyone needs an Elder God for their tree, right? Add the perfect dose of insanity for the holidays. Scalable with different yarn and needles - as long as you get a tight enough fabric that the stuffing doesn’t fall out, you can make it any size you like.